If you like indie music and casual arcade gaming, you will probably love LOUD on Planet X, a new Android and iOS game from Pop Sandbox. The game’s soundtrack includes songs from artists such as Tegan and Sara, CHVRCHES, Metric, and other heavyweights of the indie pop/rock scene, and it’s as simple as choosing your favorite band and their song, and defending yourself from the “hordes of quirky aliens.” You’ll do this by tapping to the music and using a variety of weapons available to you, such as speakers, strobe lights, fog machines, amplifiers, and even human weapons – bouncers, that is. There are 28 tracks from 14 artists – two songs per performer – and a total of 30 levels in the single-player campaign. 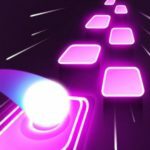 It sounds like something that’s already been done before – a game where you have to tap on the right place and at the right time in order to beat more levels. 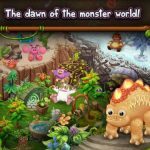 So read on for some LOUD on Planet X tips and tricks, as these strategies can help you in completing more three-star songs/levels in the game. Pop Sandbox makes it clear in the game description that the aliens are the bad guys you should be watching out for. But you should still keep on tapping on the screen even if there are no aliens to bug you and threaten to throw you off. Doing this will allow you to get the proper rhythm, and if you tap in the right time, you’ll find your score multiplier going up. 2. Should You Bother With The Power-Ups? The power-ups available in the game, as stated, may include speakers, strobe lights, amps, and other staples of your usual rock or dance club. Do you have to use them? You’re free to give each of them a try and see which one works for you the best, but some players simply find them distracting. In fact, we’d say that most songs and levels in the game can be passed without any help from the power-ups. Again, the key thing here is to keep the beat, even if you’re in the hardest level of difficulty. Some of the songs are very easy to three-star, so we would recommend that you make use of the LOUD feature once those songs are almost over. Using this special power takes out all enemies currently on the screen, and that alone says it all – more enemies killed means more points scored at the end of a level. 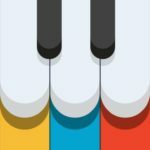 Were you able to successfully ace a song in the easier levels? If you did, you can try switching to a harder level, especially if you’re already familiar with the song and know how to keep the beat. Of course, you should still start at normal, as that’s going to give you the grounding you need to tap well enough to three-star that same song on harder difficulties.